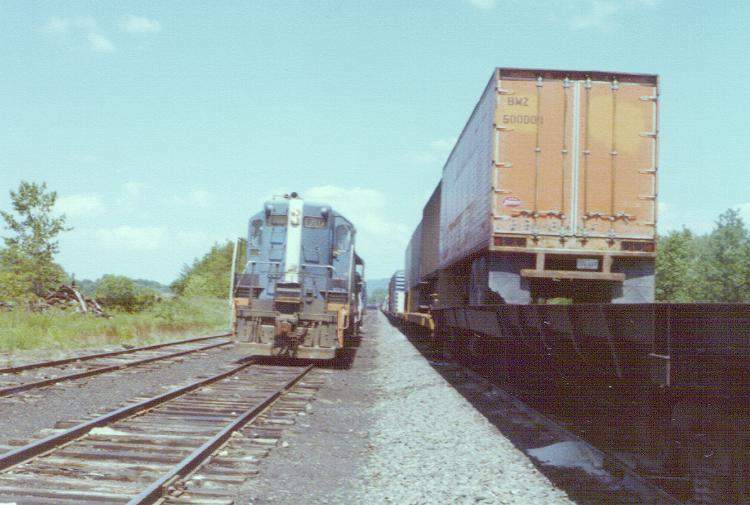 After putting the buggy at the rear, the B&M power comes west to tie on and depart Rotterdam Junction, NY yard. Photographed by Stephen G. Myers, June 29, 1979. Added to the photo archive by Stephen G. Myers, August 18, 2003.